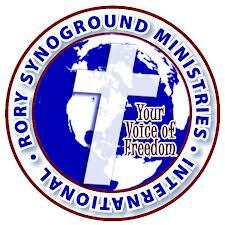 Rory Synoground Ministries International: "Learning To Stand Fast"
There is a freedom that only Christ Jesus gives. That freedom is only received by faith. This freedom though, is still under attack by the enemy. In order for you and me to live and walk in that freedom, we are going to have to learn how to STAND FAST! For example it always amazes me that some people believe that the United States of America, as a nation, started out in rebellion against Britain. There are those that actually believe that America’s founding fathers were law breakers, and rebels. If that were the case we must realize that the government of America could not have lasted the as long as it has. The seed or foundation of rebellion would not have produced a nation that has experienced the blessings of God, and prospered, as much as America has, had it started out in sin. The truth is America didn’t start out with this attitude; nor did we have a rebellious revolt against England. No, the truth is the colonies at that time were already free. They had contracts and agreements with King George that said they were free to govern themselves, which meant that they were free from the taxation without representation of British Parliament and the dictatorship of King George. And that’s where the debate began. There were some that said, 'Let them tax us. If Britain taxes us, even if it is without representation, then we can demand certain protections, provisions, and securities from them." They were willing to put up with the abuses that were already being committed for that false sense of security. Then there were the people that said that they came over here to be free from that. They believed that all men were created equal by God, with certain God given rights. And since they were already free; they didn’t want the influence of a tyrannical form of Government controlling their lives. At this time there were well educated preachers that ministered from Gods Word, the true reality of our freedom. Preachers like John Witherspoon, and Jacob Duche. These sermons and many like them at the time impacted and formed the belief systems and thoughts of the day. Sermons like those preached by Rev. Peter Powers titled “Jesus Christ the King”, even gave rise to a sentiment that has been described as the motto of the American Revolution. “No king, but King Jesus”. Yes, America was already free. So, what did they do? They united; they got into agreement. In fact before the Declaration of Independence was proclaimed, they made sure that they had a unanimous decision. This was the belief that formed the contract signed by an extraordinary group of 56 men of faith. That was the faith seed that planted the United States of America. And that’s the seed of the Gospel of Jesus Christ. Through Jesus Christ you have been made free from sin. You are already free, and until you believe that, you’ll never receive your freedom. Now, here’s what happened in America; they chose to believe it. Our founding fathers chose to believe that fundamental principle, that all men were created free, and had a right to be free. So, they made their declaration. Immediately the devil attacked that belief system and there was a revolutionary war as a result of it. When you begin to hear the truth from Gods Word, such as, "For the law of the Spirit of life in Christ Jesus hath made me free from the law of sin and death.” (Romans 8:2) "By His stripes ye were healed"; (1st Peter 2:24), & “My God shall supply all of your need according to His riches in glory by Christ Jesus.” (Philippians 4:18), and start believing these truths, then you have the opportunity to begin making your declarations; I’m healed devil, & I am rich. I am no longer a sinner. I am forgiven, I am free. At this point I encourage you to unite with other born again believers, who will agree with you, and stand with you. Because as soon as you begin making your declarations of faith, get ready for the war. I am telling you something, the devil is going to send all of hell after you. This is where you and I have to learn how to STAND FAST in the Liberty wherewith Christ has made us free! He will try to get you to doubt those declarations. To believe that maybe you’re not healed. Maybe you’re not forgiven. Maybe your needs won’t be met this time. Then the devil will begin to point out other options and answers for you. He’ll even begin suggesting that you could look somewhere else for your answers. Such as, a little alcohol won’t hurt you, or maybe you need to work longer hours, etc. He’ll begin to promise you all sorts’ deceptive securities, and you know nothing with the devil is free. He’ll just go right on taxing you until you die. Without faith in God making men free and equal, the American Revolution would have died in its cradle. Without the belief that this nation needs to take that freedom and serve each other in love; to have Jesus as our King; that revolution would have died at its conception. They knew that we would have to learn how to stand fast in this freedom! You see we need to get into Gods Word, believe His Word and start making our declarations from His Word. 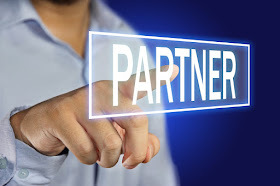 We need to find people that will unite with us and stand with us, if we are going to stand fast through the attacks of the enemy and experience the freedoms that Jesus has purchased for us, through His blood!